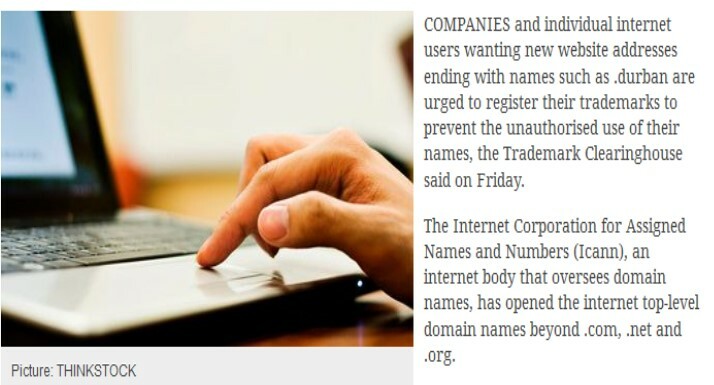 BizTech Africa looks ahead at the launch of the new gTLD's and the function The Clearinghouse has as the only authorised and universal means of a brand owner protecting their trademarks across every new web extension. Business Report South Africa mentions the importance of validating trademarks in the Clearinghouse as it covers the ICANN47 meeting in Durban with updates surrounding the bit for dotAfrica. Althought the Clearinghouse reaches 5,000 trademarks many trademarks have yet to submit their trademarks. WHIR analyses the missing sectors and points the possible outfall if no action is taken. 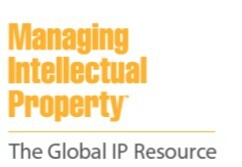 World Intellectual Property Review details on the milestone of 5,000 trademarks in The Clearinghouse providing insights on the countries of origin of the trademarks, types of registrations and which sectors are highly active in the Clearinghouse. As the Clearinghouse tops the 5,000 registrations Managing Intellectual Property breaks down the data and highlights which key sectors are still under represented. CIO Asia explains in detail the services of The Clearinghouse and the benefits of protecting your brands via TMCH. CIO is looking forward to the launch of the Clearinghouse detailing on its services and other possibilities offered by third parties. 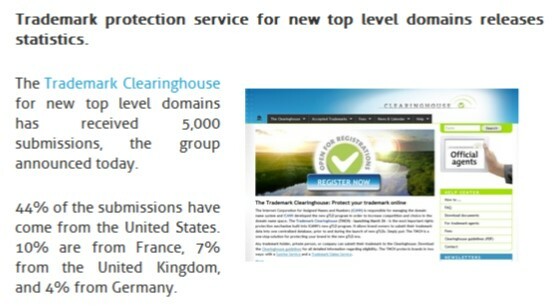 Checkdomain details the launch of the new gTLDs and clarifies the critical role the Clearinghouse will have in helping brand owners to protect their brand. The Clearinghouse guidelines offer clarification on the requirements for submitting marks in the Clearinghouse as explained by Deloitte manager Vicky Folens. BBC News covers the launch of the Clearinghouse, quoting Jonathan Robinson. "New top-level domain names present a land of opportunity, but there are also threats. Prior to this there has been no universal protection available to brand owners and the Clearinghous goes a long way to mitigating the threat" he said. The first statistics on the trademarks already submitted are poled both in category as in originating country as the Clearinghouse tops 5,000 submissions. 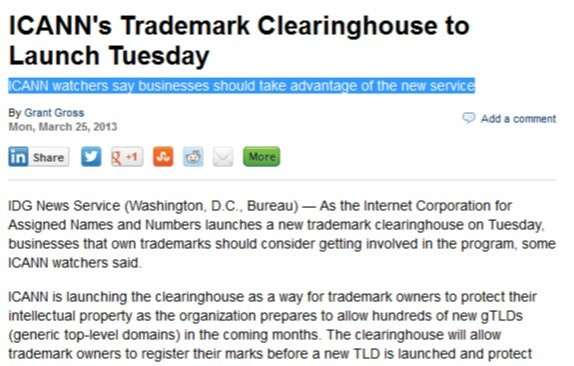 ADZINE covers the launch of the Clearinghouse in the light of new gTLD era and offers some insights on an independent study clarifying how brands will be using the Trademark Clearinhouse. 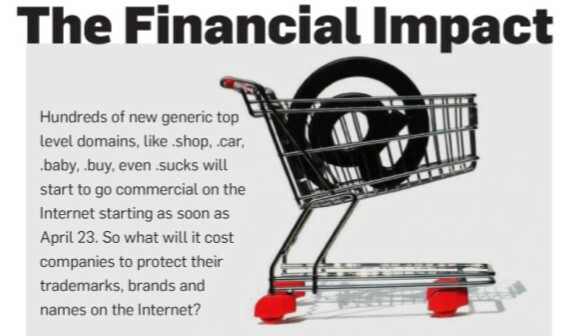 Ad Week covers the issues the launch of the new gTLD's can cause for brand owners; stating: "For brands that want to defensively register thousands of trademarks and variations to the left of the dot to keep them out of the hands of cyber scammers, the proliferation of TLDs present a financial, legal and logistical nightmare." Vicky Folens, a manager at Deloitte, states that protecting trademarks in line with the launch of new web extensions is nothing new, but the sheer volume of new generic top-level domain names expected to go live in the coming year or so "makes the necessity of ensuring (the trademarks) are protected all the more poignant". Der Anwalt Spiegel gathers some data of trademarks already submitted in the Trademark Clearinghouse with the conclusion that the German trademarkholders are wel behind other European countries such as France and Swiss.